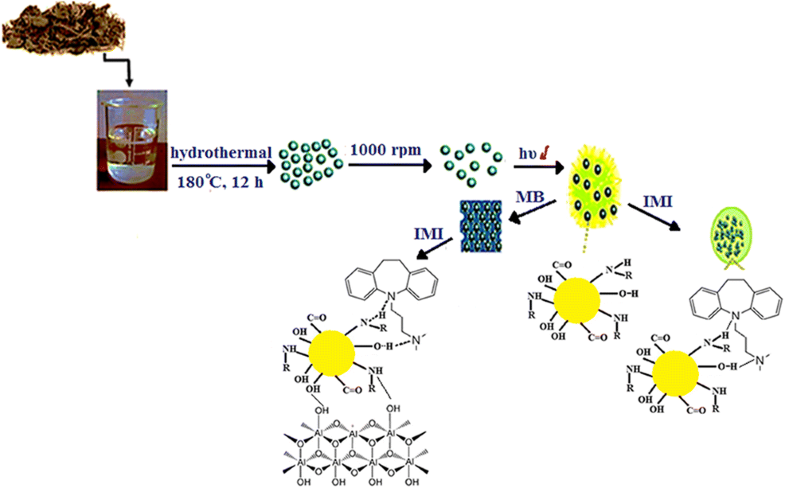 A novel, sensitive, rapid, and simple fluorescent probe has been developed based on green-synthesized carbon dots (CDs). In this work, CDs have been synthesized from valerian root by hydrothermal method. Transmission electron microscopy (TEM) and dynamic light scattering (DLS) results confirm the formation of CDs with sizes of less than 10 nm. Fluorescence quenching of CDs was due to the aggregation of the negative charges of CDs with the positive charge of imipramine (IMI) and was then used as the signal for determination of IMI. In addition, the cytotoxicity of CDs was determined using the MTT assay. The probe responses under optimum conditions were linear in the range of 1.0–200.0 ng mL−1 with a limit of detection of 0.6 ng mL−1. Afterwards, mesoporous boehmite (MB) was modified with synthesized CDs (CDs/MB). TEM images confirmed MB modification with CDs. In this case, the variations in the fluorescence signal for different concentrations of IMI increased leading to the higher sensitivity for IMI detection. The limit of detection and linear range for determination of IMI with CDs/MB were obtained as 0.2 and 0.5–200.0 ng mL−1, respectively. To evaluate the fluorescent probe, IMI was measured in real samples. The authors wish to thank Research Council and Center of Excellence in Sensor and Green Chemistry of Isfahan University of Technology (IUT). All individual participants’ blood plasma samples were obtained from the clinic center of the Isfahan University of Technology that were approved and supervised by the clinic center Committee. All experiments were performed in accordance with the ethical standards (Helsinki declaration and national, institutional rules and regulations). Mohammadnezhad G, Dinari M, Nabiyan A. 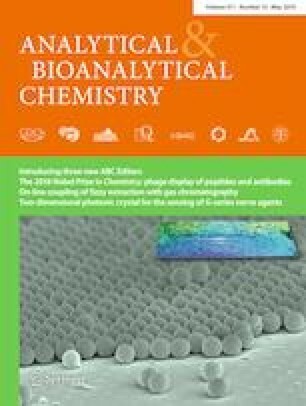 High surface area nano-boehmite as effective nano-filler for preparation of boehmite-polyamide-6 nanocomposites. Polym Adv Technol. 2016. https://doi.org/10.1002/adv.21783. Ding H, Zhang P, Wang T-Y, Kong J-L, Xiong H-M. Nitrogen-doped carbon dots derived from polyvinyl pyrrolidone and their multicolor cell imaging. Nanotechnology. 2014. https://doi.org/10.1088/0957-4484/25/20/205604.